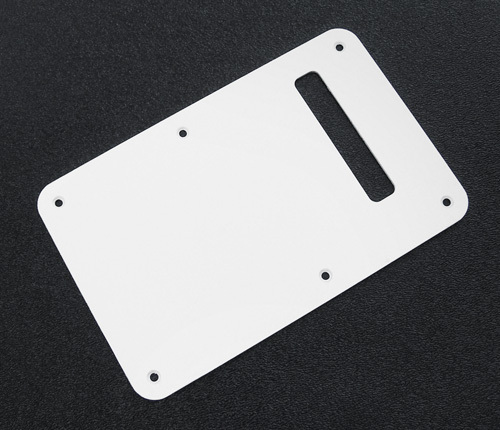 Genuine Fender® Stratocaster® White 1 ply tremolo spring cavity cover or also known as back plate. Approximately 0.055" thick. Does not have a beveled edge.